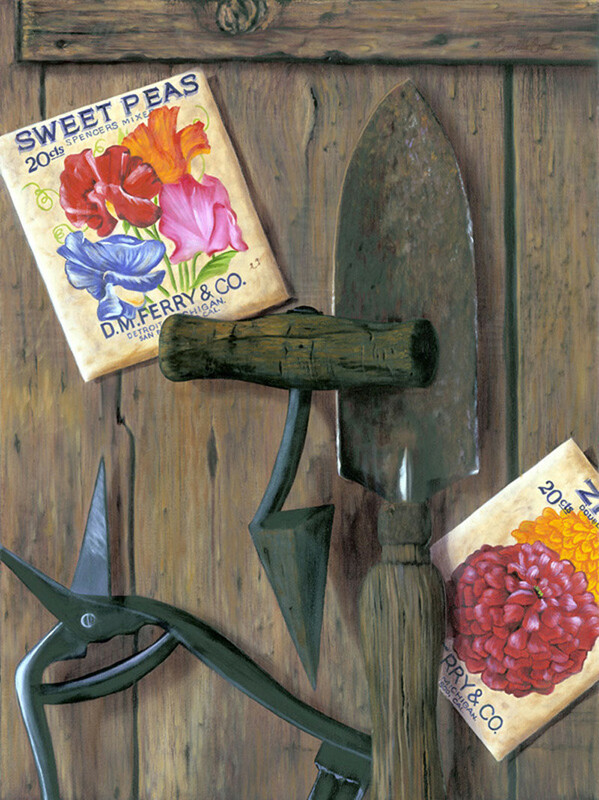 A contemporary realism still life floral painting depicting antique garden tools and seed packets against wood background. Sweet Peas and Zinnas seed packets from D.M. Ferry & Co.